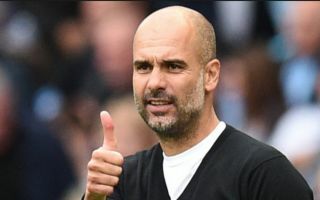 Manchester City manager Pep Guardiola is reportedly keen for his club to beat the likes of Arsenal and Liverpool to the transfer of Karim Benzema. The Real Madrid striker has apparently emerged as an ’emergency’ option for City after they missed out on the signing of Alexis Sanchez, who instead joined Manchester United in January. Sanchez looks like he would have been ideal for Guardiola’s side, but Benzema is another quality attacker with plenty of experience at the top level. The Frenchman has not looked at his best this season, but that has seemingly not stopped top Premier League sides showing an interest in him ahead of the summer. Don Balon suggest City want to beat Arsenal and Liverpool to the £43million-rated attacker as an ’emergency’ alternative to Sanchez, with the player himself also keen on the prospect of playing in England. After so long in Spain, it may just be that Benzema requires a new challenge at this stage of his career, and there’s little reason to doubt he might have one more spell in him at an elite club.